Leadership Foundation needed an overhaul of their eCommerce site to better serve their customers worldwide. The site needed to be secure, easy to navigate and able to handle a variety of different shipping costs and discounted pricing based on volume. 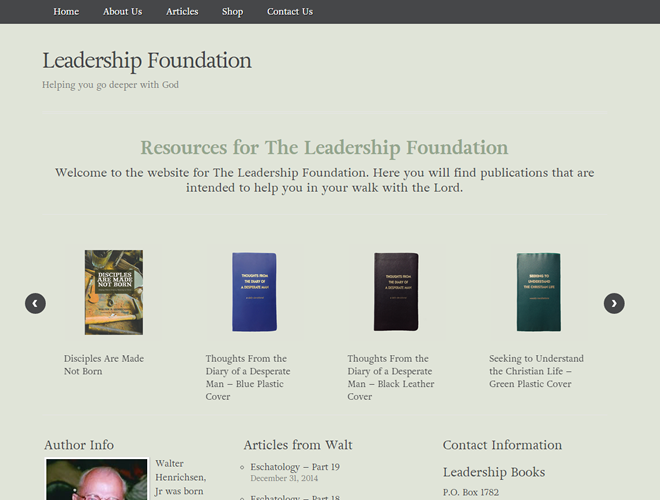 Leadership Foundation also asked for a very simple site that was masculine, professional, and sober. We are proud to have built an eCommerce site that meets their unique needs and helps their customers around the world.